There are exceptions of course. 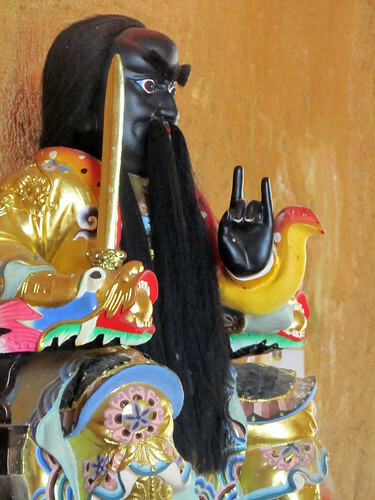 This particular deity (Zhang Gong Fa Zhu) has its root in Fujian Taoism, and is particularly interesting, because not only it can be found in black, it is also found in depictions of red or green, pending on its intended purposes. This black idol symbolises its role as a saviour and a protector. The red and green are his brothers. Not Fa Zhu Gong.